An interesting article from the London offices of Breitbart.com caught my eye. They are reporting that the American Physical Society (APS) has signaled a dramatic turnabout in its position on "climate change" by appointing three notorious climate skeptics to its panel on public affairs (POPA). The APS is no slouch when it comes to credentials -- it is the world's second largest organization of physicists, behind the German Physical Society. In fact, the Society publishes more than a dozen scientific journals, organizes more than 20 science meetings each year, and bestows 10 very prestigious prizes and awards that recognize outstanding contributions and achievements in the field of Science. • Emissions of greenhouse gases from human activities are changing the atmosphere in ways that affect the Earth's climate. Greenhouse gases include carbon dioxide as well as methane, nitrous oxide and other gases. They are emitted from fossil fuel combustion and a range of industrial and agricultural processes. 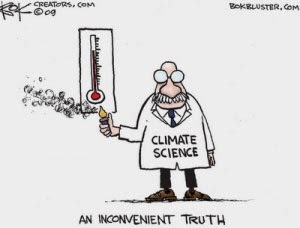 • The evidence is incontrovertible: Global warming is occurring. • If no mitigating actions are taken, significant disruptions in the Earth’s physical and ecological systems, social systems, security and human health are likely to occur. We must reduce emissions of greenhouse gases beginning now. • Because the complexity of the climate makes accurate prediction difficult, the APS urges an enhanced effort to understand the effects of human activity on the Earth’s climate, and to provide the technological options for meeting the climate challenge in the near and longer terms. The APS also urges governments, universities, national laboratories and its membership to support policies and actions that will reduce the emission of greenhouse gases. Although this statement was objected to by 80 present and past members of the APS, their petition was rejected, and the position was reaffirmed with commentary offering further support of the reality of global warming. But we've seen holes in that argument; most notably with the leaked emails during the 2009 "Climategate" controversy, in which servers at the Climate Research Unit in England were hacked. The saboteurs revealed emails which seemed to suggest that global warming was a scientific conspiracy, and they alleged that scientists manipulated climate data and attempted to suppress critics. Now, we have three very distinguished Professors who are shedding new light on what many of us have long suspected. There is Professor Richard Lindzen, formerly Alfred P. Sloan Professor of Meteorology at Massachussetts Institute of Technology (MIT), a highly regarded physicist who once described climate change alarmism on The Larry King Show as "mainly just like little kids locking themselves in dark closets to see how much they can scare each other and themselves." But perhaps the most interesting addition to the APS panel is Judith Curry, Chair of the School of Earth and Atmospheric Sciences at Georgia Tech, a former Warmist (and still a self-described "luke warmer") who has infuriated many of her more extremist colleagues by defending skeptics and by testifying to the US House Subcommittee on the Environment that the uncertainties in forecasting climate science are much greater than the alarmists will admit. It will be interesting to see if the curtain is pulled back on the politics of global warming that we have been subjected to over the last decade or so. Certainly, we saw cracks in that armor with the 2010 resignation from APS by Hal Lewis, an Emeritus Professor of Physics and former department chairman at the University of California, Santa Barbara. 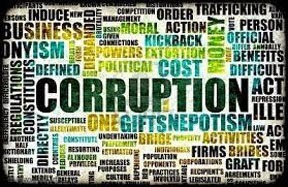 After 67 years of membership in the APS, Lewis resigned, writing in a letter about the "corruption" from "the money flood" of government grants. Here is a summation of the good Professor's theory as to why so many esteemed scientists and institutions have succumbed to the lucrative scam: "There are indeed trillions of dollars involved, to say nothing of the fame and glory (and frequent trips to exotic islands) that go with being a member of the club. Your own Physics Department (of which you are chairman) would lose millions a year if the global warming bubble burst." You see, if the fraudulent scheme begins to unravel, there are some very influential and powerful people who stand to lose a lot. Take for instance Al Gore, who has made billions off the myth of global warming, and stands to make more by pushing legislation such as Cap and Trade. While money is at the root of this false notion, there are a couple of other components that we can't ignore ... power and control. We need to be asking ourselves this question: Who stands to gain from the "Green Energy" industry and the inevitable global wealth redistribution? From my perspective, all that Al and his cronies have accomplished is bankrupt green energy companies that the American taxpayer has financed; more regulations that control our lives; and lining their own pockets.... And the planet is still here. Genesis 8:22 "While the earth remains, seedtime and harvest, cold and heat, summer and winter, day and night, shall not cease."